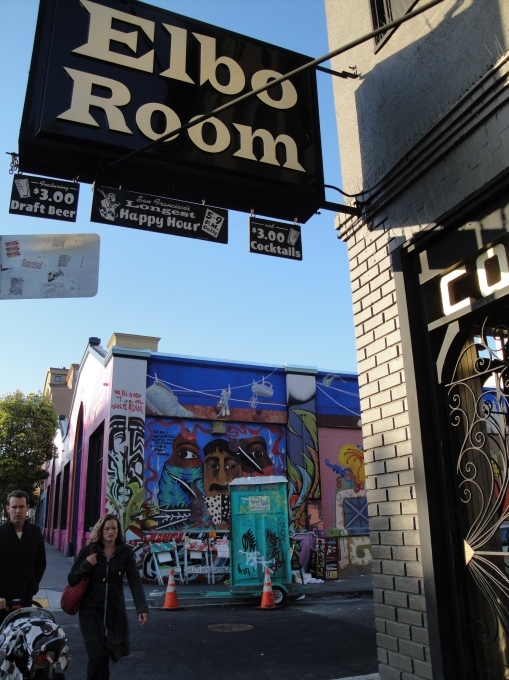 Some of you may have noticed that the regular “Elbo Room” sign had recently been replaced with another older-looking one that reads “Amelia’s.” Now, it’s back to the “Elbo Room” again. So, what’s going on here? 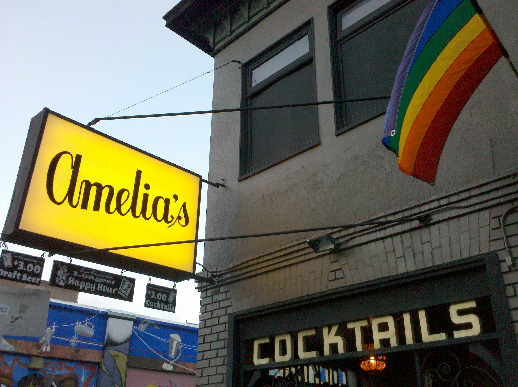 Well, after talking to some key Elbo staff, it turns out that around 20 years ago the Elbo Room used to be a rocking dyke bar named Amelia’s that allegedly would have put the Lex to shame. Every year when Pride rolls around, they dig the old sign out of storage and install it in front as an homage to the bar’s colorful history. Then, when Pride weekend ends and all the brunches are over, bloody marys flowing in the gutter, they lock it up again and go back to the regular ol’ Elbo Room. So there you go! History lesson with Professor Sarkarati over! 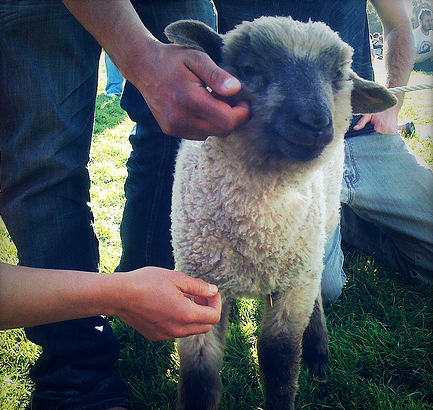 Totally asked six people if this was a sheep or a lamb or a kid or what and nobody knew. Anyway, it’s a cute baby animal. 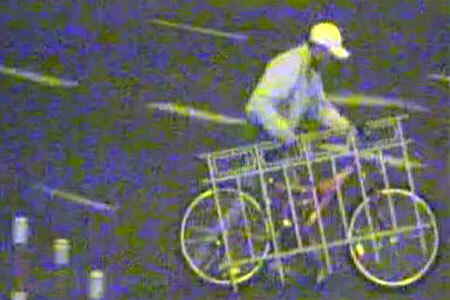 It’s been a long-standing revenge fantasy of mine to set up a decoy bike and equip it with GPS from a cheap cell phone. Then I’d wait for it to get stolen and track it down to the source: some kind of crime kingpin guy with an eyepatch living in a mansion in Russian Hill. He’d know the jig was up and there would be an epic chase ending at the top of Sutro Tower. Then there would be a high-altitude fight scene involving crossbows and I think you can fill in the rest. Unfortunately, thinking over this scenario further, it never seemed to make logistical sense. I mean yeah, maybe I’d track the bike to an intersection in Bayview, but then what? Knock on every door and ask, “uh, did you steal a bike recently?” then mace the dude on the spot if he answers yes? Good thing the SFPD is teaming up with the SF Bicycle Coalition to do these sorts of sting operations for us. Sometimes it’s best to leave things to the pros. The sting operation pilot program will begin later this summer and will target the Richmond district, according to Esparza. A decoy bike will be set up with a transmitter and once it is stolen, police will be able to track the bike to the person in possession of it. The SFPD will also continue keeping an eye out for stolen bicycles on Craiglist and in Bay Area pawn shops. So basically if you want your bike to be safe, park it in the Richmond for the next couple of months. Get the rest of the scoop at SFAppeal. Whoa. 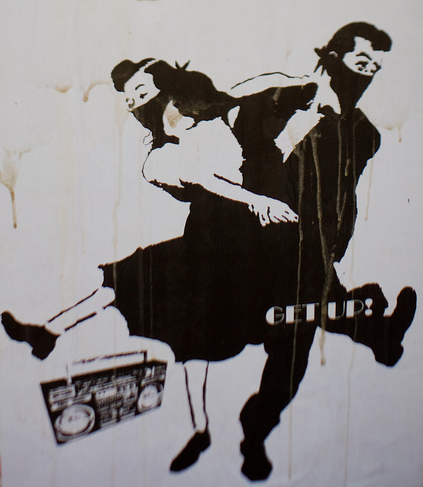 Swing dancers in fancy dress, old west bank-heist bandannas, Run DMC ghetto blaster, and the title of my favorite Kinks song (but since Lala is gone I can’t link to it, so sad). This is a melting pot of cultures and ideologies almost as badass as the USA itself. 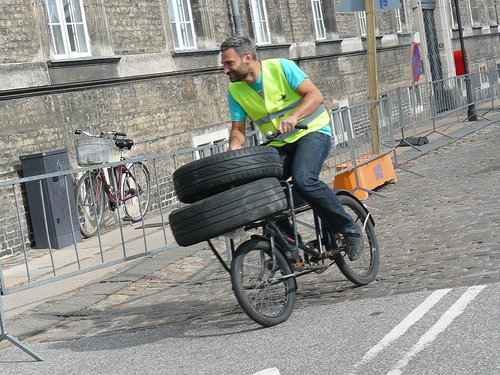 Barcelona Cycle Chic over the weekend toured up to Copenhagen for the Dutch Cargo Bike Championships. Look at this champ up here, haulin’ tires and such. What fun! You heard it here first: Hot new look for summer. The California Honeydrops are the latest band to be featured on Chasing the Moon and it’s my favorite installment yet. If you haven’t had a chance to see them yet, it should give you a good idea of what you’re missing. Good thing I wasn’t at this filming, because I probably would have knocked over a boom mic dancing. This band is world class fresh! The California Honeydrops are the real deal: transforming any dull scene into a world class dance party. Lech Wierzynski leads killer a band that includes pianist Chris Burns, drummer Ben Malament, bass player Seth Ford-Young, and saxophonist Johnny Bones. Working on this episode was especially tough because none of us could stay seated during the editing/mixing. I love that second tune. If you told me it was a lost Sam Cooke side I would have thought twice about it.